Along with this shops fine reputation for making beautiful floral creations this address also holds a little bit of Sheffield pop history. 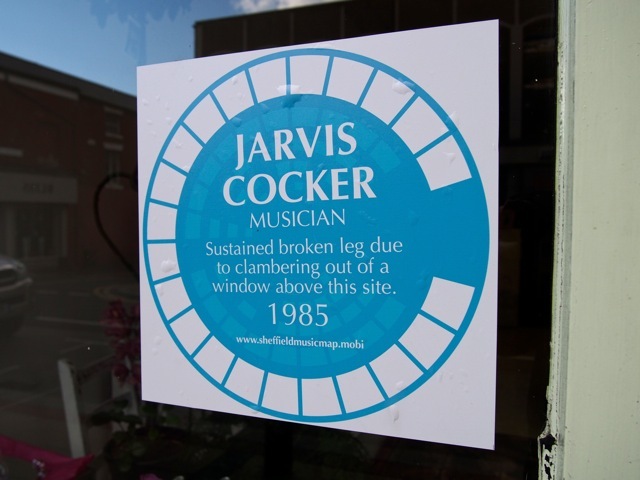 The photograph below shows the blue plaque in the window of Plantology telling the part this location played in a well documented incident involving Jarvis Cocker. I posted a similar blue plaque about the Limit club on my Little Bits Of Sheffield Blog a couple of weeks ago. I’m not sure how many of these there are around. 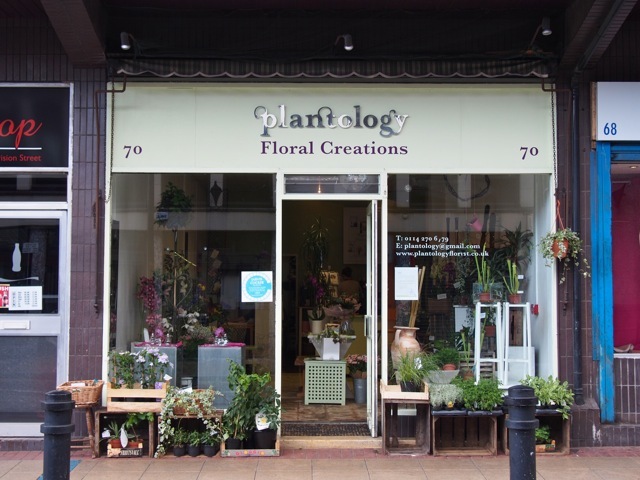 Do you remember Plantology when it started out in Nether Edge (about 17 years ago)? yes i believe i do, i am not sure if the shop is still there. if i am correct it was next to st vincents (which has recently moved) Ihave been in sheffield about 19 years…eek. a lot pf places pass me by as i am in work early til late.